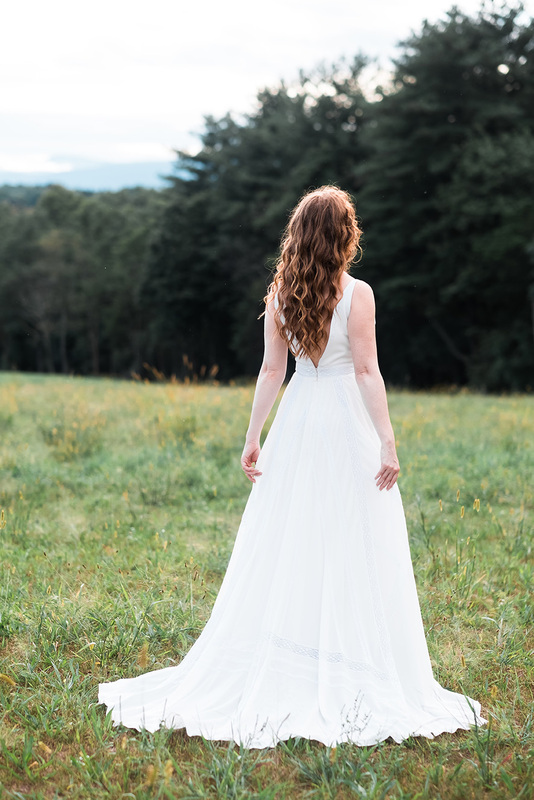 Evoking a sense of bygone eras, but reimagined in a throughly modern shape, the Theo gown is perfect for a low key but still romantic-hearted bride. The geometric lace design is carefully patchworked and stitched over the flowing crinkle georgette skirt. 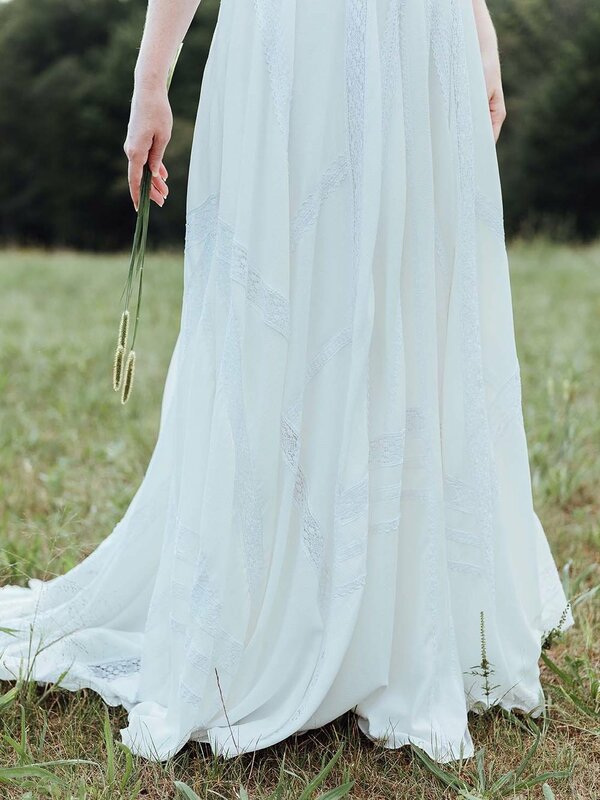 A plunging V neck at the front, back, and sides of the bodice make this a gorgeous choice for a wedding on the beach, a mountain top, or a garden.